(New York, NY) — Multi-platinum rock band Stryper will hit the road this Spring, though presidential candidate Ted Cruz will not be part of the show. To the bands surprise, frontman Michael Sweet found himself at the center of the latest internet rumor last week when a social media post showed a side-by-side photo comparison of Sweet and the presidential candidate, questioning if they might be the same person. Within days, the post had gone viral, becoming a top trending topic on Facebook for over three days. The band will tour this spring in support of their new album, FALLEN (Frontiers Music SRL) before launching a world tour this fall marking the 30th anniversary of the bands historic album release, To Hell with the Devil. Dates for this falls To Hell with the Devil Tour, which will be booked by William Morris Endeavor (WME), will be announced at a later date. For spring tour dates and exclusive VIP Meet & Greet packages, visit www.stryper.com. Rocking since 1984, Stryper is responsible for such classic ’80s metal albums as Soldiers Under Command, To Hell with the Devil and In God We Trust. In fact, Stryper is the first band to ever have two songs in MTVs Top 10 simultaneously with their hits Free and Honestly. After a sabbatical for much of the 1990’s, Stryper returned strong in the early 21st century. To date, the Dove Award-winning and GRAMMY-nominated band has sold over 10 million records worldwide. (New York, NY) — Fathom Events is partnering with Bryton Entertainment to present In Their Own Words: The Tuskegee Airmen – The 75th Anniversary in select U.S. cinemas for the first time ever on Tuesday, March 29, 2016 at 7:00 p.m. local time. This one-night cinema event features emotional interviews, rare photographs, archival footage and computer-generated recreations. Audiences will also experience an exclusive panel discussion captured at the National Air Force Museum with Tuskegee Airman Lt. Col. George Hardy, Former Administrator of NASA Col. Fred Gregory, as well as the executive producer Bryan Williams and director Denton Adkinson. Tickets for In Their Own Words: The Tuskegee Airmen – The 75th Anniversary can be purchased online by visiting www.FathomEvents.com or at participating theater box offices. Fans throughout the U.S. will be able to enjoy the event in nearly 200 movie theaters through Fathoms Digital Broadcast Network. For a complete list of theater locations visit the Fathom Events website (theaters and participants are subject to change). Sixteen of the Tuskegee Airmen, America’s first African-American military aviators who flew the skies of the European Theater during World War II, are featured in this powerful event. As African Americans were rejected in their attempts to enlist in World War I, the recruitment, training and combat of the Tuskegee Airmen in World War II was a monumental moment not only in American military history, but also in American history as a whole. In Their Own Words: The Tuskegee Airmen – The 75th Anniversary tells the story of how these airmen were some of the first to begin the civil rights movement and have lived long enough to see the changes that continue to resonate today. Fathom is extremely excited to be working with Bryton Entertainment on this powerful event that honors the Tuskegee Airmen. 2016 marks the 75th anniversary of these amazing fighters and there is no better way to celebrate these men than a documentary and panel discussion, said Fathom Events CEO John Rubey. The enthusiasm in which the few remaining Tuskegee Airmen reacted to this news has been nothing short of fulfilling. These brave men made one request of us upon lending their story, Never let our story die! We are thrilled to honor that request with Fathom Events on March 29, when this event hits theaters around the country, said Bryan Williams of Bryton Entertainment, LLC. Los Angeles, Calif. (March 16, 2016)— A formidable female-fusion of modern pop unlike anything else Christian music has to offer is Inpop’s latest prodigy, pop artist V.Rose. This vibrant young artist is making a splash with her debut release Young Dangerous Heart set to hit shelves and digital markets April 22. See full track listing below. The 13-track album is a sonic blast collection that is packed tight with power-pop grooves fueled by forgiveness, informed by truth; an empowering reminder for the younger generation who may be struggling to find themselves. The first radio single, a cover of the mega church hit “Sinking Deep” is already raising eyebrows of critics and radio promoters far and wide. She partnered up with producer Jordan Sapp (Jason Derulo, Blanca) to create a pulsating ballad that perfectly captures the spirit of the singer. Co-produced by longtime friend and mentor Spec, Young Dangerous Heart is the follow up to the EP Hearts Up released last fall, but V.Rose has earned her performance stripes at festivals, camps and conferences all over the country with major chart-topping artists. V.Rose is breaking the mold of what it means to be a female artist in the music industry, and she is one that Inpop Records’ President Mark Lusk believes the music industry is in desperate need of. Inpop Records is an independent entertainment company based in Nashville, TN and home to some of today’s most vibrant artists and brands. Distributed by Capitol Christian Music Group, Inpop is passionate about using music and film to inspire popular culture. Inpop’s roster includes Mat Kearney, V.Rose, Consumed By Fire, The Red Roots, The God’s Not Dead Soundtrack and Superchick. Visit us online at www.inpop.com. In a finally-realized dream, worship leader, multi-instrumentalist and singer/songwriter Austin Adamec and acclaimed vocalist, songwriter and former 1 Girl Nation member Lindsey Adamec have come together to record a self-titled EP from Radiate Music that celebrates the presence of God. The road to the new recording, set to release March 25, was fraught with challenges that refined the newly married couple’s faith and strengthened their bond. Introduced through a microphone, and leading worship on stage together long before becoming a couple, followed by traveling separately supporting their own musical paths, the Adamecs have come to discover they are better together, in life and in music. The worship songs featured on Austin & Lindsey Adamec are anthems telling the story of personal and spiritual victory. Every aspect of this EP, from lyrics to artwork to instrumentation and musicianship, has been intentionally and meticulously crafted. Even the album cover reflects the depth of the detail. To create the cover, the Adamecs wrote all of the Scriptures and stories inspiring the songs, the prayers for those who will worship along, and the lyrics themselves on a 24 by 24 wooden plank. They then painted the plank white, added a logo and after some careful editing, the result is a message that artfully expresses all of the depth of the recording. Lindsey and Austin wanted every single thing to matter. It is not simple pictures, stories and songs; this music is an expression of life in the presence of God. As he studied the familiar passage of Peter walking on the waves, Austin was amazed to discover that when Jesus told Peter to “come,” the wind and the waves did not die down until they were back in the boat. Lindsey and Austin understood that the Spirit of God was calling them to walk above the stormy circumstances and waves of doubt that held them captive, and in the calling, “Walk on Waves” emerged. Like Peter, Lindsey, along with her husband, fixed their eyes on Jesus and stepped out into the waves so recently written about. After living out her dreams with successful pop band 1 Girl Nation, Lindsey stepped away from the band. And remarkably, “Walk On Waves” became the very gateway to a brand new vision for the couple. Although originally slated to be featured on a solo project Austin was working on with Grammy-nominated, two-time Dove Award-winning Producer of the Year, Ian Eskelin, all those plans would change after Lindsey added her vocals to the track. “The room literally felt like it lit up, and became electrified with excitement,” shares Austin. It was clear that a solo artist was transforming into a duo, and that God had once again been faithful to their steps of obedience. Though on the same label in the beginning of their marriage, Austin and Lindsey rarely saw each other as tours took the newlyweds in opposite directions. Austin describes these days as some of the darkest in his life. The song “It Is Finished” on the EP has become an Easter-like declaration that captures these struggles and paths that helped bring this couple to this point of collaborating on a project together. Hope came through hearing anew the last words of Jesus while on the cross. “‘It is finished’ meant that the work of Christ put an end to the striving to earn God’s favor. An end to the fears, worries and all the accolades and trophies we were trying to bring to God. All of our works drown in His grace,” says Austin. A similar rejoicing in the sufficiency of the cross builds the theme in “Infinite Grace.” Inspired by Max Lucado’s book, In the Grip of Grace, which describes the infinite gap sin creates between us and God, the song showcases the beauty of the bridge of grace. The inspiring melody does not shy away from the details of the cross, engaging worshippers to join in the declaration. While “Infinite Grace” and “It Is Finished” are declarations of faith, “Maker of Miracles” was initially born from a place of hope with the prayer, “God, I want you to be this maker of miracles in my life.” Co-written with Eskelin and Krissy Nordhoff just four months before the release of the album, the couple later found out that Lindsey’s aunt had been diagnosed with breast cancer. Then, three days after Thanksgiving, her dad explained that doctors had discovered a large spot on his left lung that resembled a large marble-sized tumor. Suddenly, the Adamecs had to believe the words they had written in a new way. “Maker of Miracles” transformed from a song of hope to a song of triumph. And the five songs, plus one bonus track on Austin & Lindsey Adamec, reveals that this couple has definitely spent time in His presence. Nashville, Tenn. (March 16, 2016) — Citizen Way’s highly anticipated sophomore album 2.0 debuted last week to a warm reception among critics who say the new music “takes the originally high bar set by Citizen Way and raises it even further” (The Christian Beat). With over 50 stations on the single, including KLOVE, SiriusXM, WPOZ/Orlando, WONU/Chicago, WBVM/Tampa, WCSG/Grand Rapids, and KJNW Kansas City, “When I’m With You” is rapidly climbing the radio charts, already hitting No. 16 on the AC-Indicator Chart. Citizen Way has been performing their new music in front of fans all across the country on The Rock & Worship Road Show, performing alongside Newsboys, Jeremy Camp, Mandisa and more. The tour wraps this weekend in Mobile, Al., but Citizen Way will head right back out on the road for a spring tour with MercyMe and Zealand, launching April 7. For additional dates and ticketing information, visit citizenwaymusic.com/#tour. Citizen Way broke through the music scene in 2013 with their powerful debut album Love Is The Evidence. The band quickly drew in a devoted fan base as their impactful hits “Should’ve Been Me” and “How Sweet The Sound” took Christian radio by storm. The band continues to make an impact both on and off the air as they’ve toured the country alongside acts like MercyMe and Big Daddy Weave. The group is currently out on The Rock & Worship Roadshow with Newsboys, Mandisa, Jeremy Camp and more. Citizen Way’s highly anticipated sophomore album 2.0 is available now. Led by long-time Newsboys bassist and vocalist Phil Joel, the tunes of Zealand Worship are resounding with critics. Amidst student gatherings around the country, Zealand Worship will be joining GRAMMY® acclaimed MercyMe and radio supported Citizen Way on tour for the entire month of April. Included in the tour are stops in Illinois, Minnesota, Ohio, Georgia and more. For the latest tour schedule, click here. Sometimes it takes a new voice, a fresh perspective, or even a word breathed from a land far away and a culture not our own to remind us just how grand our Savior is. Hyderabad, India is 8,000 miles from New York City and similarly distant in the consciousness of many around the world, but this City of Pearls and its population of seven million are in the midst of an awakening of global impact. In a city of confused religions, social and economic bifurcation, and almost two million living in slums, the light of Christ is shining through the vibrant music of a band called Pearl City Worship and their debut release, We Won’t Be Silent. You won’t hear a strong accent in Pearl City’s music. You certainly won’t hear a stereotypical sitar, or Bollywood-style theatrics. But make no mistake, this music is the voice of a particular people, and these are anthems of prayer and declaration made even more meaningful by their context. When Allen Ganta sings, “When this world is falling apart, to You it’s falling in place” (from the powerful “Still”), he gives voice to a city and a nation thirsty for rescue. When he declares, “We’ll see this city dancing for joy, we’ll see this city lifting You high, we’ll see this city running into Your arms,” his vision might seem improbable to many but his confidence is contagious. Local impact has been extraordinary. PCW songs have topped iTunes charts in a country where a “Christian” genre doesn’t even exist. That means they’re right there atop the “Religious” chart next to a Hindu record and a Muslim record. Every week, the music becomes a magnet. Crowds of children wander in, curious. Hindu women who are out sweeping floors hear the music, stop, and come and clap their hands and sing, even though they don’t understand English. A polytheistic ricksha driver has a dozen statues of little gods, but suddenly recognizes that Jesus is different. It is that Jesus who undergirds Pearl City Worship. Every one of the songs on We Won’t Be Silent is either a prayer to God or a declaration for Him. One such declaration, “The One Who Saves Us,” has so shaped Pearl City Church that its lyrics are literally written on the walls. The boldness is refreshing, especially considering that the opening pronouncement, “We stand in the truth / We dance in the light,” is being sung from a very dark place. Similarly, “My Strong Hope” speaks confidently of the anchor that holds in the midst of turmoil. It’s a beacon to a church that’s faced profound persecution. Those smiles, that music, and that message have already begun to impact believers worldwide. From the US to Australia, PCW songs are being played in churches and covered by established worship leaders. It’s as if Ganta’s goal – to invite the presence of God into a particular city in desperate need – has been magnified, as if the bright Light of the World shines into darkness wherever it’s found. Indeed, as more and more hear the songs rising from a faraway Pearl, the manifest presence of God is felt. Boundary lines blur. External circumstances fade. And the God who spans it all is praised. To find out more about PCW, go to www.pearlcityworship.com. And see the video story of PCW at https://vimeo.com/147139187. Also, check out PCW lyric videos: “Love Song” https://www.youtube.com/watch?v=S8IXCZy4ovg and “My Strong Hope” https://www.youtube.com/watch?v=rkThgR0iYVY. Nashville, Tenn. (March 18, 2016) — Debuting in time for the celebration of Easter, Hillsong Worship is unveiling “Grace To Grace,” their newest single composed by Joel Houston and Chris Davenport. In support of the song, “Grace To Grace” is being released digitally to all accounts. Uniting with Kari Jobe, Jesus Culture, Passion, Elevation Worship, Martin Smith and Senior Pastor of Hillsong Church, Bobbie Houston, Hillsong Worship will trek across the U.S. and Canada this April as part of the OUTCRY Tour 2016. For tickets and additional information on the tour, click here. Their latest live album Open Heaven / River Wild (2015) debuted at No. 1 on the Billboard Christian Albums Chart and Australia’s ARIA Album Chart. Hillsong Worship is the congregational expression of worship from Hillsong Church – a global church with local expressions. Their music captures the heart and sound of Hillsong Church globally and represents the coming together of the Hillsong worship team from around the world; including Reuben Morgan, Joel Houston, Ben Fielding, Dave Ware, Annie Garratt and many more. Since 1992, Hillsong Worship has resourced the local church and received gold and platinum album status multiple times, writing such well-known worship songs as “Shout To The Lord,” “Hosanna,” and “Mighty to Save,” which was awarded the 2009 Dove for Worship Song of the Year. Their 2014 release of No Other Name was awarded the GMA Dove Award for Worship Album of the Year. Their latest live album Open Heaven / River Wild (2015) debuted at No. 1 on the Billboard Christian Albums Chart and Australia’s ARIA Album Chart. DENVER – March 15, 2016 – Enjoy an engaging evening with effervescent storyteller and author Jennifer Wilder Morgan as she takes the stage with animated characters and scenery from her highly-anticipated book, Come to the Garden. Fathom Events and Eakin Films are bringing “Come to the Garden – On Stage!” to select U.S. cinemas for one night on Tuesday, May 3 at 7:00 p.m. local time. This exclusive event includes a post-event discussion with special guest and New York Times best-selling author of The Shack, Wm Paul Young. Tickets for “Come to the Garden – On Stage!” can be purchased online by visiting www.FathomEvents.com or at participating theater box offices. Fans throughout the U.S. will be able to enjoy the event in more than 400 movie theaters through Fathom’s Digital Broadcast Network. For a complete list of theater locations visit the Fathom Events website (theaters and participants are subject to change). Join Jennifer as she shares her story, exploring her deepest fears and most life-changing discoveries, and recreates the private garden where she first opened her heart to The Divine. With guidance from her humorous guardian angel (Chonda Pierce) Jenn journeys through a human understanding of the unknown, and renders it ultimately knowable through the inspired inner voices she believes are available to us all. Featuring character voiceover performances from Emmy-winner and Today Show host Kathie Lee Gifford, Academy Award-winner™ Louis Gossett, Jr., and popular faith comedienne Chonda Pierce, this feature-length professional stage show will use groundbreaking three-dimensional projection technology to fuse live-action and animation, creating a unique and immersive experience on the big screen. “We are thrilled to partner with Eakin Films to bring Jennifer’s work to the big screen. 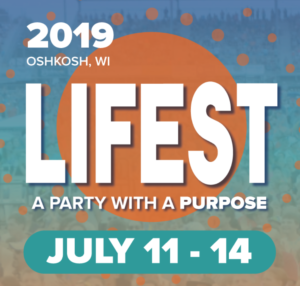 With such a talented cast, this event is sure to entertain on a variety of emotional levels,” said Fathom Events Vice President of Programming Kymberli Frueh. Eakin Films & Publishing is a producer of movie tie-in books, star-narrated audiobooks, 3D author stage events and author branding programs. Marketing and public relations partners include Simon & Schuster, Audible.com, Rogers & Cowan, and Ribbow Media. Eakin’s recent projects include 12 Years a Slave, featuring the best-selling book, audiobook (narrated by Louis Gossett, Jr.) and tour event. Eakin is manager-producer of author Jennifer Wilder Morgan, and published the Come to the Garden audiobook narrated by Kathie Lee Gifford and Fathom cinema event. For more information, visit www.EakinFilms.com. 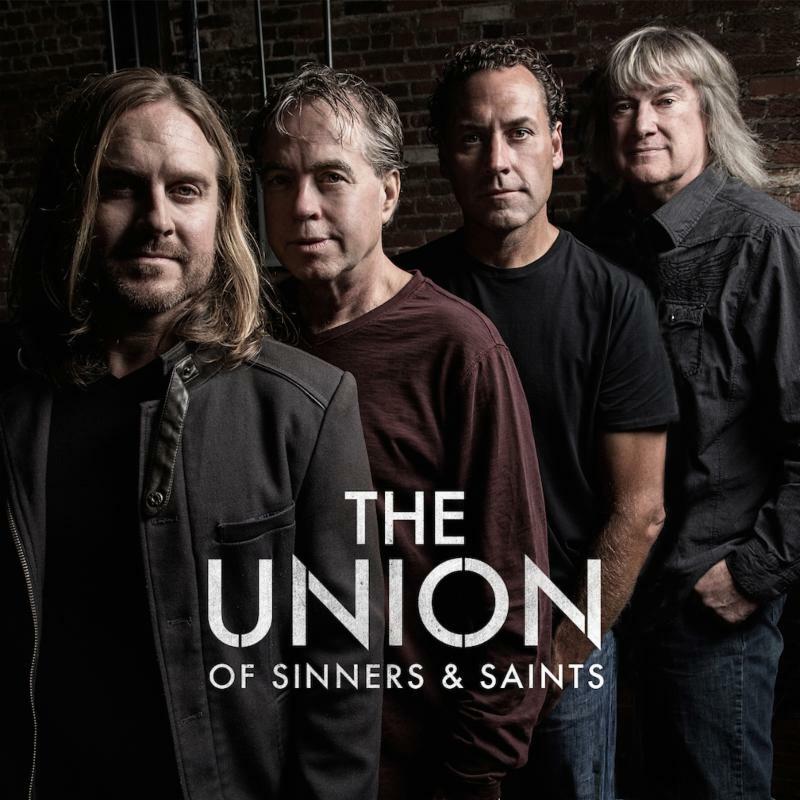 NASHVILLE, Tenn. (March 10, 2016) – Newly formed Christian rock band, The Union of Sinners and Saints, which features members from Petra and Whiteheart, two of the best selling Christian Rock bands of all time, has announced their debut radio single. “Christ the Lord isRisen Today,” a scorching rock rendition of the classic John Wesley hymn, is the first single from the band’s upcoming, self-titled debut album. 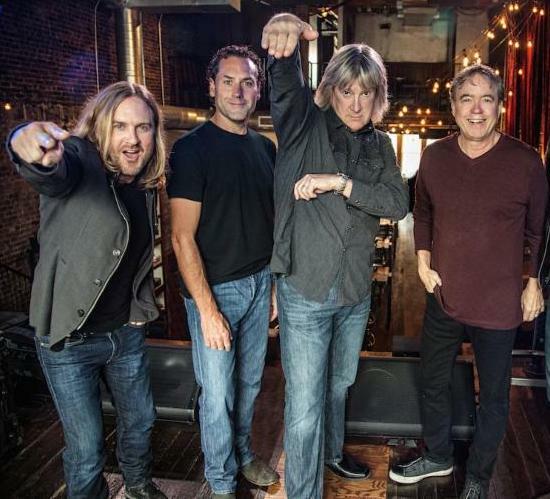 The single showcases an updated rock sound, including soaring signature John Schlitt vocals and production that echoes the familiar Whiteheart sound. “Christ the Lord is Risen Today” is available now from the band’s site, theunionofsinnersandsaints.bandcamp.com, as well as from iTunes, Amazon, Spotify and wherever digital music is sold. Few artists have been more influential in defining contemporary Christian rock ‘n’ roll than Petra and Whiteheart. The two bands collectively have sold more than 12 million records, generated more than 25 #1 songs, and earned more than 15 Grammy and 40 Dove nominations and awards. It seemed like only a matter of time before John Schlitt, lead singer of Petra, and Billy Smiley, guitarist, singer, and founding member of Whiteheart, would team up. That time is now. Fans can look forward to the release of the new CD project, available exclusively at Lifeway Stores on June 17, 2016, and digitally on iTunes and other popular online outlets worldwide. The project will feature ten new compositions, along with updated versions of Petra and Whiteheart classics. Joining Schlitt and Smiley in the studio is Anthony Sallee (Whiteheart) on bass, new artist Jason Fowler on guitar and vocals, Steve Brewster (Peter Cetera) on drums, Jonathan Crone on guitar, and John Ellis, lead singer from Tree63, on guitar and vocals.